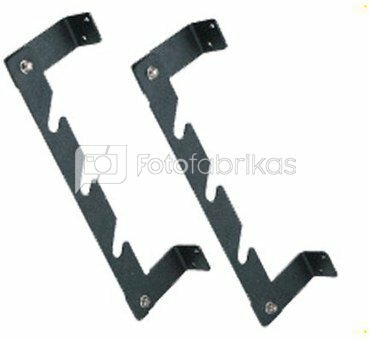 The Falcon Eyes FA-024A-3 Background Support Bracket consists of a set of hooks, which can easily be fixed to a wall with the 4 large key bolts supplied. On these hooks, up to 3 holders or crossbars can be attached, enabling you to hang your paper, vinyl or cloth backgrounds. The mountable parts of the hooks can be rotated 45 degrees so that one side can be mounted to the ceiling and the other side can be mounted to the wall.